The Walker Entertainment Group delivers a dope lineup for all you Indie heads out there. Featured in this event there will be dope sets by G Milla, Luu Breeze, G.O.D. Jewels, and DJ Hero George. These artists will all take the stage to bring you some raw and unfiltered Hip Hop. 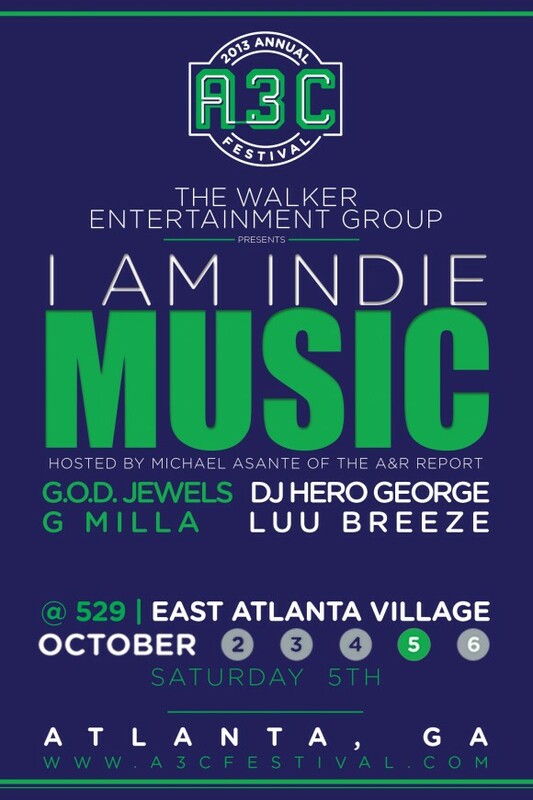 The Michael Asante hosted showcase will be @ 529 in the East Atlanta Village on Saturday, October 5th. Make sure you come out and show your support for real music.